The Gawler Show was held from the 24th to the 26th of August this year and was, as always, a resounding success. Cody Davies and Marilyn Simpson braved the sunshine and carried out some interviews for Gawler Broadcasting Association over the weekend. 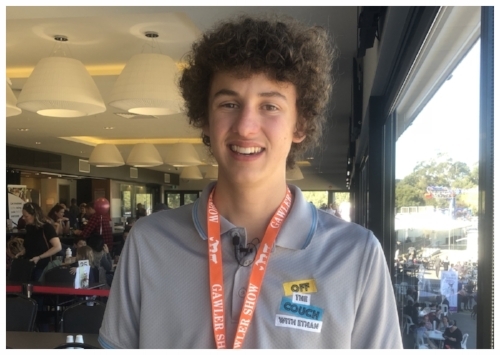 Cody also recorded an interview with Ethan, the host of the Channel 44 TV show Off the Couch with Ethan about his show and why he loves the Gawler Show. Listen to the interview at Gawler Event Watch. Marilyn interviewed Patricia Dent OAM, the show committee president and discussed the mascot race, the crowds of people flocking to the show with the great weather and how so many people hard work to make it a great event. Listen to Marilyn's interview also at Gawler Event Watch.